In many low income countries tap water isn’t clean and has the potential to cause illness and disease. This is true in Timor-Leste, where water must either be boiled before drinking or, as is frequently the case, bottled water is purchased for consumption. The least expensive option is water in cheap plastic bottles that are readily discarded when they are empty. This plastic rubbish quickly piles up and suffocates the landscape. Discarded plastic water bottles in trash piles is sadly abundant along the roads and beautiful beaches in Timor-Leste. Health Alliance International’s Timor-Leste team, led by Xylia Ingham, Country Director, decided it was time to do our part to address this blight on Timor’s beautiful landscape and draw attention to this environmental health hazard. In Timor, every time an organization, ministry, agency or business holds a meeting or training they are obligated to provide drinking water for attendees. This commonly takes the form of cases upon cases of cheap plastic water bottles that are subsequently thrown out after the event. 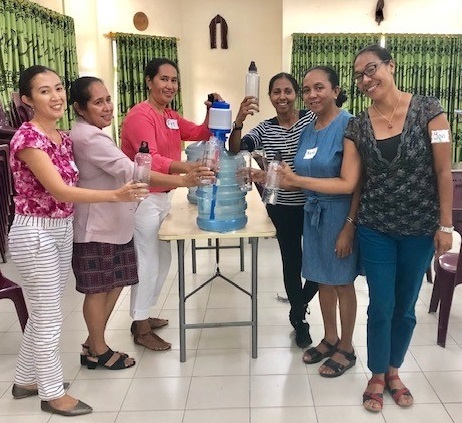 The HAI Timor-Leste team decided that they would instead provide meeting attendees with either a glass for short meetings or reusable water bottles for longer trainings and place a large water pump station in the meeting room where bottles can be filled with safe drinking water. 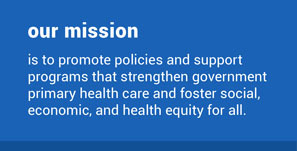 “Initially there was uncertainty among staff about this new initiative as they were concerned that meeting participants would think this was strange. But staff were asked to explain to attendees the reason behind the new initiative and this has now become a great education tool for both staff and attendees alike about the need to reduce the use of throwaway plastic in Timor-Leste. HAI staff are now proud to be a part of this initiative at every training that we organize”, explained Xylia. Following the Timorese governments call for “Less Plastic, More Quality of Life,” HAI is stepping up to advocate for change and modeling organizational behavior it hopes will be followed by others. We want to be part of the solution to help reduce the use of plastic water bottles and prevent environmental degradation in Timor-Leste.